Wholesome | Watashi Wa Bucho!! Spring 2019 is positively stacked with highly-anticipated sequels, including One Punch Man’s 2nd season, the continuation of Attack on Titan’s 3rd season, and Bungou Stray Dogs’ 3rd season. Between all of these big names, it’s hard to decide what to look forward to the most! But the Fruits Basket reboot is definitely a strong contender! 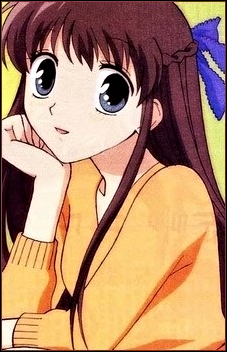 The original series, which strayed from its source material, may have been underwhelming, but Fruits Basket (or Furuba) has long been one of my favourite manga series, so, naturally, I’m pumped that the franchise is, after all this time, getting another iteration! In anticipation of this, I thought that I’d dedicate this month’s Character Spotlight to its plucky heroine, Tohru Honda. I hope that this whets your appetite for the upcoming anime! #28 What Is My Favourite Quote? I had no problem choosing a quote for this challenge item. Despite it being nearly 10 years since I first saw Fullmetal Alchemist Brotherhood and despite the fact that the scene in which it’s spoken is fairly inconsequential to the anime as a whole, I’ve carried this quote with me through the years like a protective talisman.